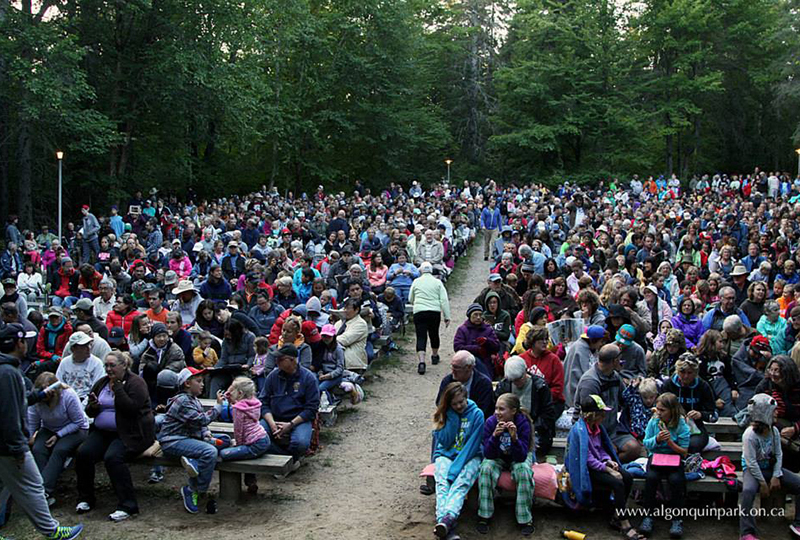 Located along Highway 60, the Outdoor Theatre is an open air amphitheater, with bench seating for 1,000+ people, used for evening programs, some special events, and Algonquin Park's famous Public Wolf Howls. 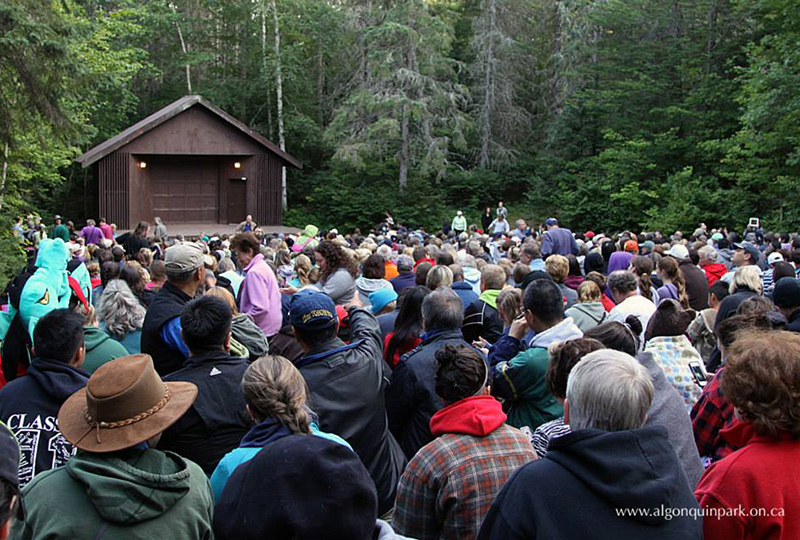 Permits (day-use or camping) are required for those attending programs at the Outdoor Theatre and can be purchased at the West Gate or East Gate upon entering Algonquin Park. 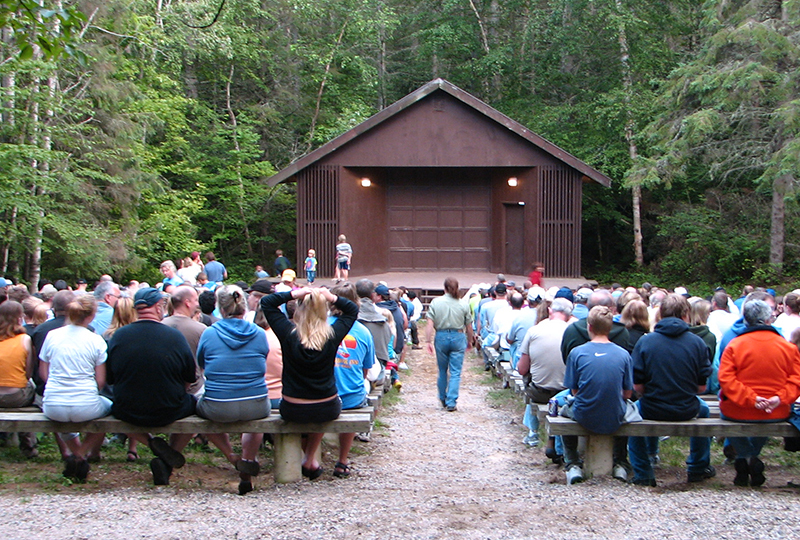 Permits are not available at the Outdoor Theatre. South of km 35.4 of Highway 60, then turn left for the parking lot. Follow the signs to the Outdoor Theatre.